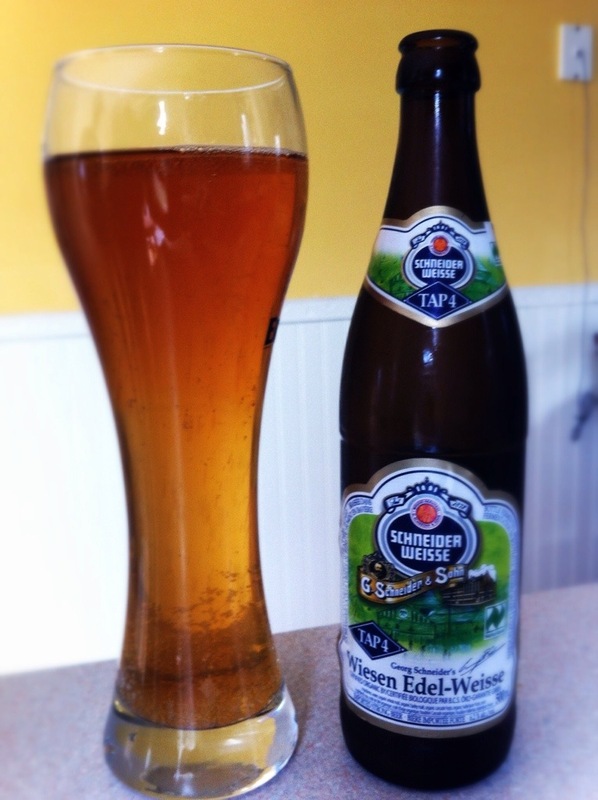 This organic wheat beer is brewed in the tradition of Georg IV Schneider by Germany’s Schneider Weisse. Its golden and refreshing, showing off what a German wheat beers should be like. “A shiny-brass colored organic wheat beer, certified Naturland organic. An aroma of hops and citrus with a spicy note perfectly balances the malty character with the easiness of the hops. Refreshing and full-bodied at the same time. Appearance: Golden. Good carbonation, clear, with no head to speak of, which is surprising from a wheat beer. Aroma: Sweet and fruity with a slight malt presence and no hops. Cherry, currant, and clove note highlight the aroma. 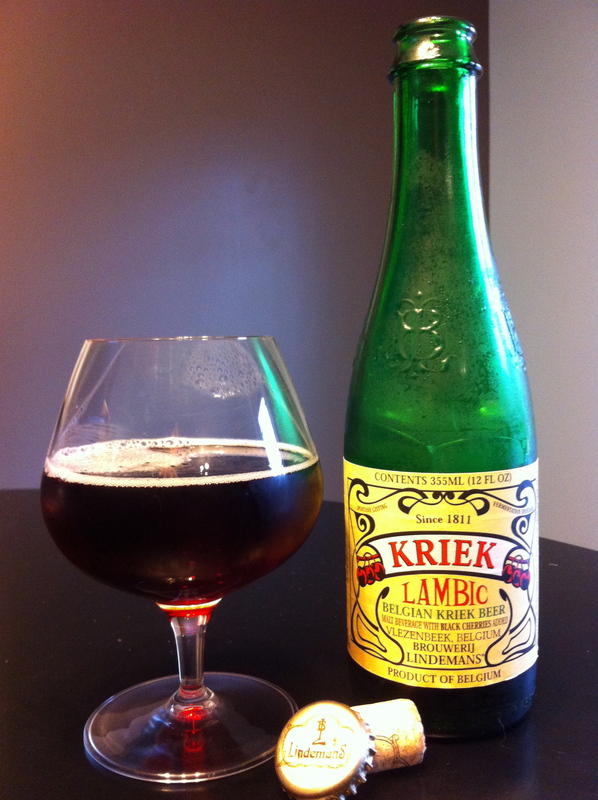 Taste: Clean and light with a bit of the carbonation flavour appearing. Very much lager-like and very easy to drink. Some grassiness and clove coming through. Mouthfeel: Light bodied with appropriate high carbonation. Overall: Easy drinking and refreshing. Balanced nicely with some of the classic wheat beer flavours coming through, but restrained to make it very approachable. Boxing Rock is a craft brewery located in Shelburne, Nova Scotia founded in 2012. Using their 17HL brewhouse they produce a growing list of beers. 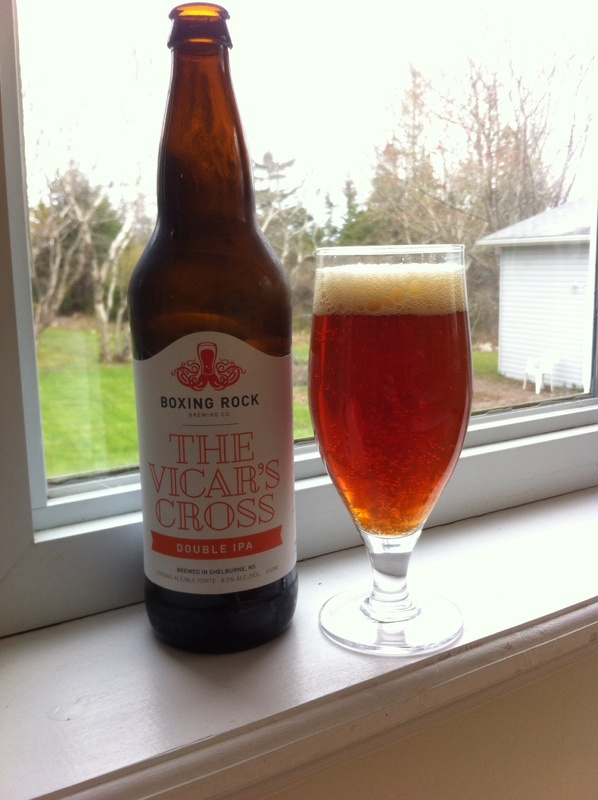 The Vicar’s Cross, a Double IPA, is one of the flagship beers for Boxing Rock. Appearance: Amber, bight and clear, with a nice off-white cream head that is long-lasting. Great lacing on the glass that is still there when the beer is all gone. Aroma: The first thing, and most dominate thing, in the aroma is sweet hops. The hops are fruity, piney, and a bit grassy, with some nice freshness to them. There is a bit of the malt that lends some sweetness in the aroma. Taste: As this hits the palette it’s the hops that are there first – piny and resin, bitter – but there is a bit of sweetness from the solid malt backbone to balance. There is a good amount of bitterness in this ale, but the brewer has done an excellent job of crafting the malt bill to support the bitter with just enough sweet. 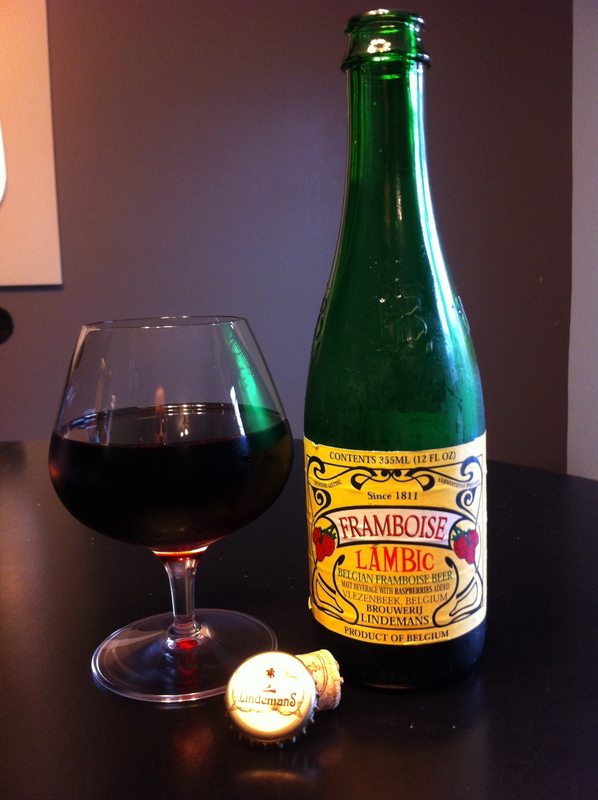 Mouthfeel: The body is medium with a creamy texture that is quite pleasant. Overall: This is an excellent beer. Well made, well balanced, and quite enjoyable. Surprisingly easy to drink considering the large amount of hops and high alcohol. The brewers at Boxing Rock have done a great job of making this beer big and bold, but balanced and refreshing. Duchy Originals was set up in 1990 by Charles, Prince of Wales and is a brand of organic foods sold mainly in the UK. 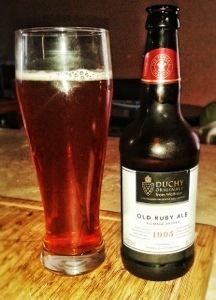 Fortunately for me they do export some products and a kind friend picked my up the fine bottle of Organic Ruby Ale. Appearance: Pours clear copper/ruby red. Light carbonation, in tradition with British ales, only gives a slight, off white head. Aroma: The aroma is slight with notes of malt and caramel and hints of fruit and orange. Taste: The flavor is rather mild and clean with a good balance of malt and bitterness. Some fruity esters and slight yeast tang. Notes of pear and cherries and an earthy hop flavor. Mouthfeel: Medium to med-light. Light British style carbonation creates a silkiness on the palette. Overall: The is a quality ale. Well made and clean ale with balance of flavors and esters making it very drinkable. This is a good introductory ale for those North Americans looking to experience British ale. Ok. To be honest I was given this beer and was a bit afraid. It sat in the fridge longer than most beer and I kept looking and wondering. Well, I manage up the courage (which wasn’t actually much and I was looking for something different) and poured it – very surprised, and in a good way. Appearance: Copper/amber, with a nice bit of off-white head. Clear. Aroma: Dominated by banana with spicy notes. Some sweetness and maltiness. 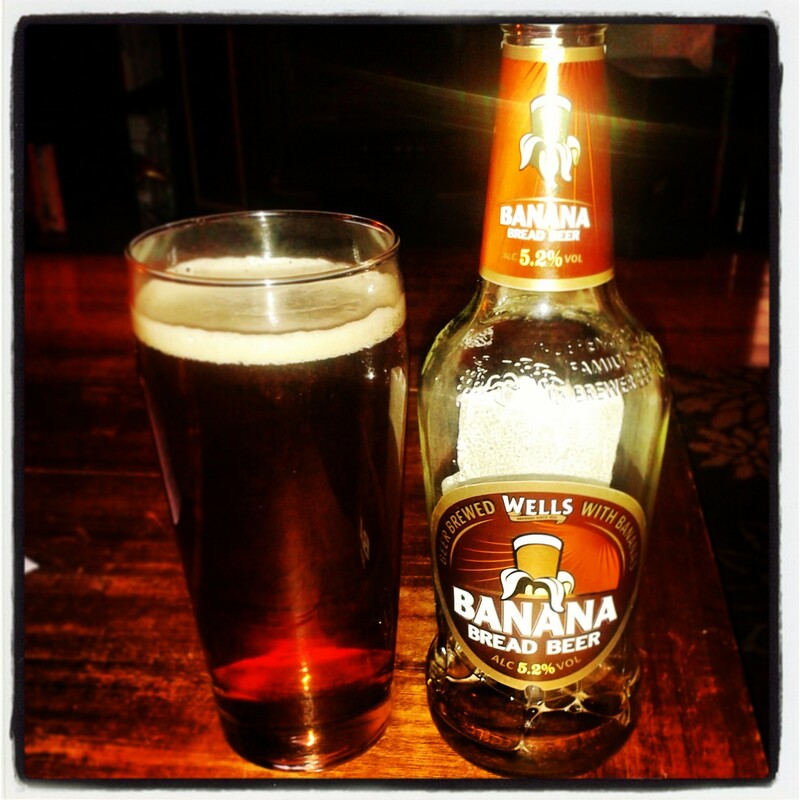 Flavour: Malty, with the banana becoming subdued. It has a firm bitterness and is fairly balanced with some hops and spice. The finish is crisp and dry. 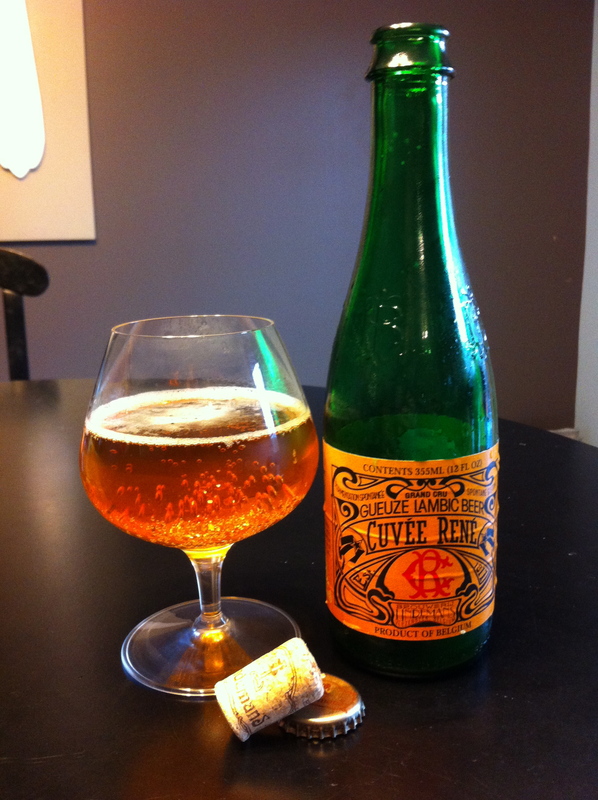 Mouthfeel: A fairly thin body but with the dryness it is still refreshing. Overall: I was impressed. Maybe it was the fact it wasn’t terrible, but more likely it was because it actually was well made. 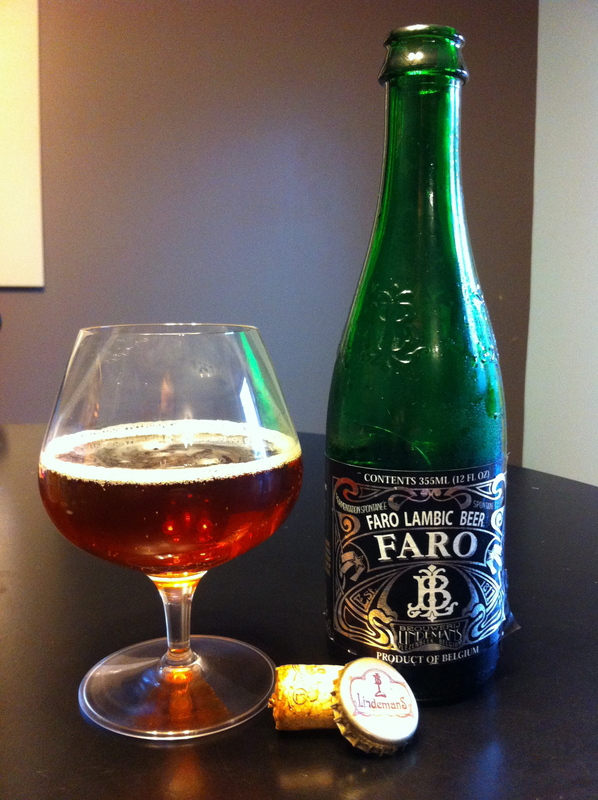 Granted, this is not the type of beer for everyone, but those who are looking for something different, give it a try.